Protect your Samsung Galaxy S10e from nicks, bumps, and impacts with the matte black Urban Armor Gear Monarch Series Case. 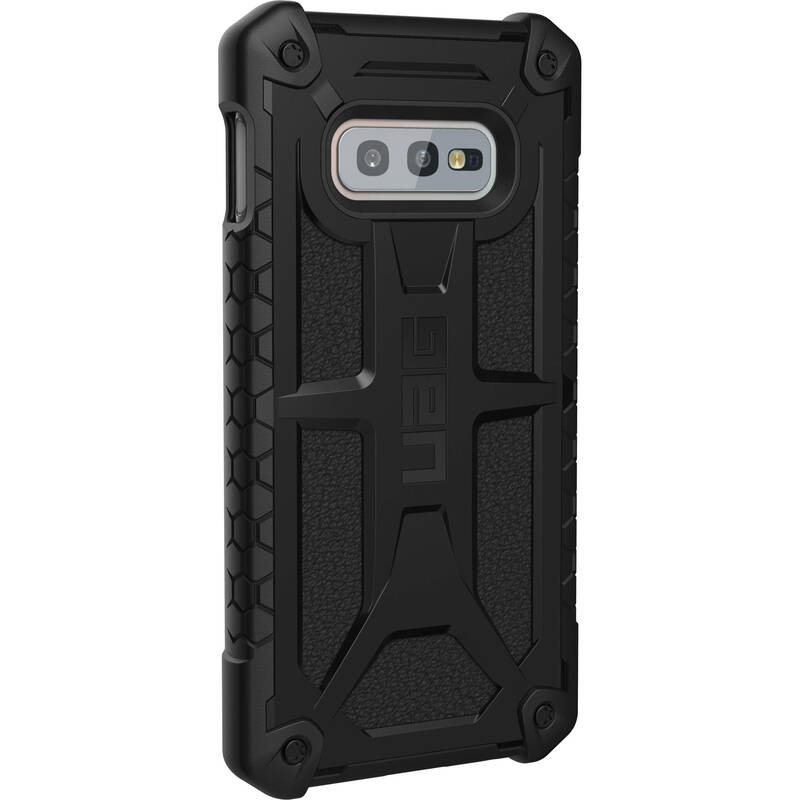 This protective case is handcrafted from lightweight materials, including grain leather, and features five layers of protection. Its unique design utilizes a soft, impact-resistant core and honeycomb traction grip, so it's easier to hold onto your phone, and even if you do drop it, the Monarch will absorb the impact.